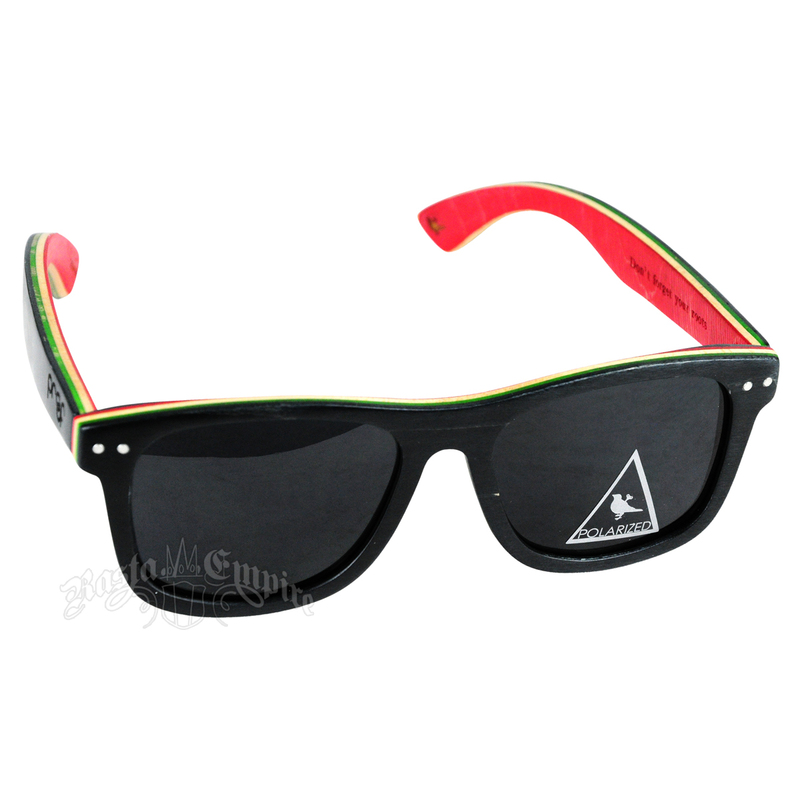 Handcrafted from Canadian Maple Skateboards, these sunglasses feature frames colored green, red and naturally yellow-tinted wood. The words “Don’t forget your roots” are carved into the left arm. The lenses are polarized, and the glasses come with a cloth bag and wooden box for storage.